At the latter, more severe stages, the DIY Box-Packer dispenses with boxes altogether. The picture above shows bags(!) of dishes: Not exactly the preferred method for packing and moving fragile items. I like how they put pillows at the top of the bags to try to cushion the plates. 1) Do you black-mark or place a label on the TOP of the box? It is physically the easiest, but when there are several boxes stacked together, you cannot see the bottom boxes’s labels without moving around some boxes. It also can be hard to read the writing. 2) Do you black-mark or place a label on the SIDE of the box? This is definitely the preferred way if you have many stacks of boxes. YOU CAN SEE THE LABEL OF EACH BOX! But it is physically more difficult. It takes TRAINING, and intuitively seems like overkill, even if it is not. 3) Do you buy those pre-printed labels that say “Living Room,” “Master Bedroom,” “Bed Rm #2” and so on. 1) The quickest form of identification! 1) You can still run out of colored tape for a particular room. 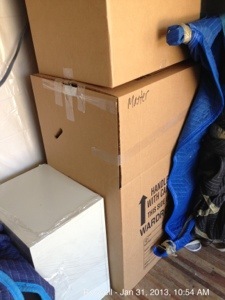 2) During the actual move: The brightly taped boxes make it easier for the Movers to see which boxes go to which room. On the hand trucks, they stack like-colored boxes together. I am not recommending or selling a particular labeling method. But simply opening up the discussion. What kind of box-labeling system do you use? 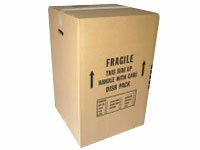 C) Use the standard size 24″ tall Dishpack box, and have to work hard to fill the remainder of the box with other items–maybe filler items like towels–or actually waste expensive packing materials by filling the excess box with newsprint, or packing peanuts, or something even more expensive like bubble wrap or mircrofoam. 2) You have something like a heavy rod-iron 16″ statue. You or the customer may not want to pay to have the statue wood-crated, but a standard single-thickness box is really too flimsy. ENTER THE MINI DISHPACK BOX! The “Mini Dishpack Box” is part of my regular box-packing arsenal now! Because of its glass-covering, the painting/picture might be moved safely covered in either a quilted pad or a paper pad—as long as the picture frame is not fragile or expensive. If it is, then we should use the next higher level of protection—the Picture Box. The best way is to wrap the picture in a Paper Pad before inserting it into the Picture Box. If you don’t have a Paper Pad, you can also use Packing Paper or Bubble-Wrap. Make sure you protect the corners. You don’t want a dirty quilted pad to touch the surface of an oil painting, and they usually have decent frames so a Picture Box is usually required. The best way is to wrap the picture in a Paper Pad before inserting it into the Picture Box. If you don’t have a Paper Pad, you can also use Packing Paper or Bubble-Wrap. Make sure you protect the corners. $1000 is obviously an arbitrary even number, and the number should climb higher with inflation, but in 2009 most Movers will think about having a wooden crate made for pictures in this value category. And there are many pictures in Atlanta homes valued at 10K, 50K and higher. Movers are not going to put a high-value picture in the truck without it being in a wooden picture crate. If it’s a local move, the homeowner/customer does have the option to move the picture himself–in his car–in order to save the extra cost of having the wooden crate made. Check to make sure your vehicle will accommodate the size of the picture. I bet these boxes are empty! WHAT AN UNREALISTIC ADVERTISING SHOT. If these boxes were full, she would have to be holding them from the bottom, and this girl could probably not carry both at once! Yesterday I booked a job for a couple about 65 years old who are moving close-by. They want to move all the boxes themselves. First you have to get the items off the shelf. You have to get down on your hands and knees for the low shelves, and on a stool for the high shelves. Once they are wrapped, you need to place them in the box. Once the box is packed and closed up, you have to get it out of the way. You have to carry it somewhere and probably stack it on top of other boxes, bending down or stretching up to do it. Then you have to get the stack of boxes to your car–either carrying each box or rolling the stack on a handtruck if you have one. Then you have to place it in the car, and even with SUV’s some bending over is required. Remember box-packers cost less than the orthopedic surgeon. You may think it is worthwhile to pick up old grocery or liquor store boxes, but it’s not. 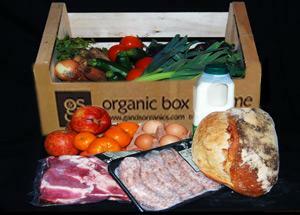 Grocery boxes are designed for seperating food in the truck and warehouse. Moving boxes are much heavier-duty and designed for protection of your home items and for ease of handling by you and the Movers. 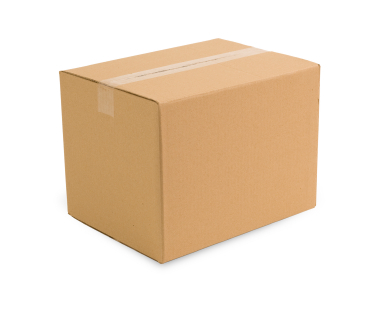 If you are box-packing a whole house properly, you will most likely use all of the seven moving box types above, plus the paper pads. Like there are many different kitchen tools, each box is sized and designed for a specific purpose. 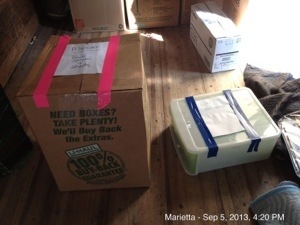 “Book Box:” (1.5 cubic feet): Heavier items, but not fragile kitchen items. Kitchen: Pots and Pans, Fragile Dishes and Glass Items (pack the heavier items on the bottom, and pack successively lighter but fragile items as you go higher in the box). Pack dishes and china on their EDGE, NOT FLAT IN THE BOX! This is a very common error. And use plenty of newsprint, and use bubble wrap for extra-fragile pieces. Living Room: Vases, Fragile Knick Knacks; Fragile lamp bases (make sure the top of the lamps bases (name?) are not jammed in there. They bend and are easily damaged. If the lamps are too tall for the dishpack box, use a a taller box—even a wardrobe box if that’s the next taller size you have. If you are packing the boxes yourself, besides actually packing the boxes, you will need to decide what to PURGE and what to RECYCLE. 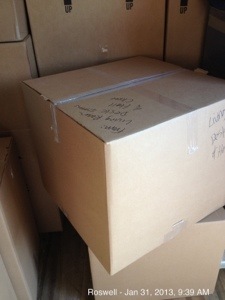 If it takes X hours to pack the required number of boxes, it will take .4X extra to PURGE and RECYCLE. A) A two bedroom/two bath apartment or condo without a garage may take 15 man-hours of box-packing, 6 hours of recycle and purging – a total of 21 hours. Let’s say you live in the three-bedroom, two bath house with a garage; you’re doing the box-packing yourself and you’re looking at 28 hours of work before the Movers arrive. How are you going to get this done? The penalty of not being completed in time, and getting rushed—is so severe—that it is worth it to go to extraordinary lengths to give yourself enough time. 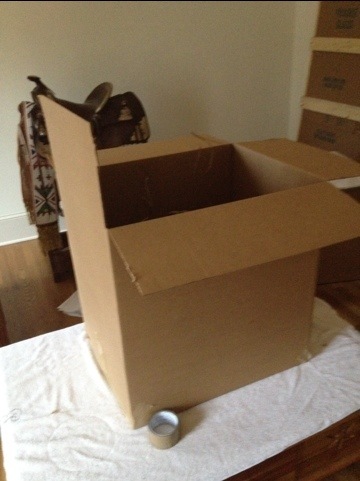 My formula is to plan to be completely box-packed A FULL WEEK BEFORE THE MOVERS ARRIVE. It is not that big of a deal to live out of boxes for one week. 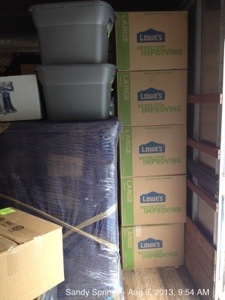 When you get a surplus of boxes in all the appropriate sixes, you can live out of boxes easily. First you pack everything, and then you start taking stuff out as you use it during that last week. Once you take it out you can leave it out. After you pack the kitchen you will have several dish pack boxes standing around, a few small boxes and a few medium boxes. You realize you need the toaster, so you take it out of the medium box where you have packed your small kitchen appliances, and then you leave it out until the last day before the Movers arrive. When you need the laundry detergent, you take it out of the laundry box you have marked as having your laundry detergent. Depending on how often you do laundry during the week, you may even put the laundry detergent back in the box, or else pour the week’s amount or detergent into a Tupperware container. Your clothes are either hanging in wardrobe boxes, or laying in 4.5 liter size, large boxes, or in luggage like you are going on a week-long trip. Clothes hanging in wardrobe boxes are very easy to access. The wardrobe boxes have a seam where you pull down the side halfway, and you can use them like little portable closets. Since during a week, you only use a fraction of all the stuff in your house, you will be surprised how little you had to take out for the week. The day before the actual move, you just put the few kitchen items you have used during the week back into the dishpack boxes, and the same with all the other rooms, and boxes. Re-tape the boxes, and now you are ready for the Movers. But how do you get those 28 hours of moving prep done? You will keep a time record, almost like you’re billing your time (See attached “Self Box-Packing Hour Planning” form. There is a sample form and a blank template). Since you need to be completed 7 days ahead of the Movers, and since in this example you have 28 hours of work to do—if you budget approximately 1 hour per day, and start 35 days ahead, you should be in good shape. Now let’s talk about how working with the time budget. The first mistake people make is to think, “Oh no problem, I’ll just wait until the last two weekends, and I’ll do 14 hours each weekend. Wrong! Seven hours of box packing on all four prior weekend days is cruel and inhuman punishment, and you simply won’t subject yourself to that kind of torture. Instead you will feel the torture the night before when you are way-behind in box-packing and writhing with anxiety and fatigue. The second mistake is to get hung up on the one hour per day allocation. This is not like taking your vitamin each day or your blood pressure pill, where you take exactly one pill per day, no more, no less. You are not going to pack exactly one hour each day. It will probably be closer to two hours every other day. But since you are keeping a written record, you will be able to track how close you are to the time budget. 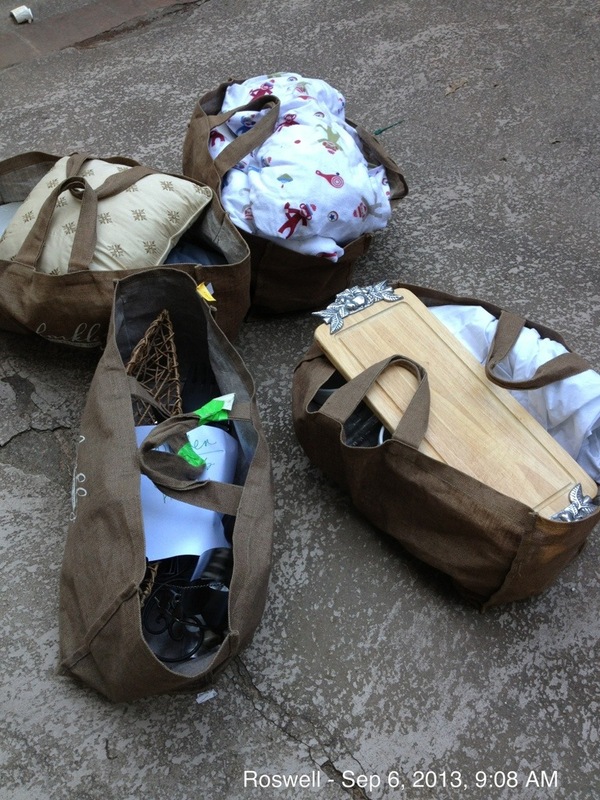 14 days into your 35 day plan, you should have spent approximately 14 hours of purge/recycle/box-packing work. When you follow this plan, when the Movers arrive you will be aglow with satisfaction and confidence instead of feeling like you’ve just experienced one of the worst days of your life.